ClamTM Jason Mitchell Thermal 5000 6-angler Ice Shelter. Exceptional heat retention and generous headroom in a professional-quality shelter. Designed with input from pro "ice man" Jason Mitchell, the Thermal 5000 Shelter sets the benchmark for comfort and quality in a Pop-up Shelter! 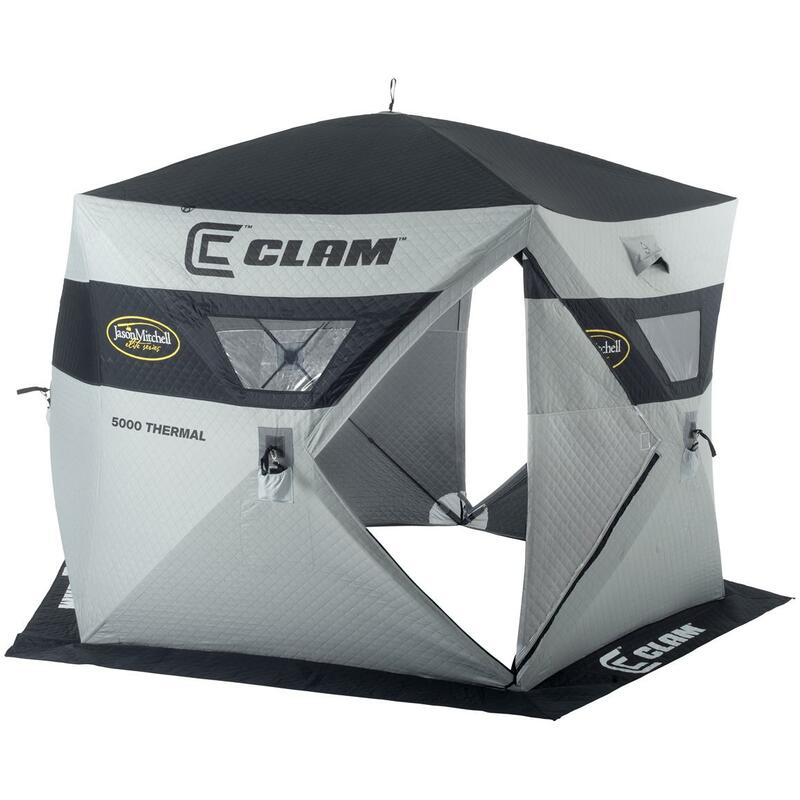 An industry-first 5-sided hub design offers plenty of room for 6 anglers, with generous 6'10" center height, and it features ClamTM's innovative Thermal Trap technology that retains up to 25 degrees of heat vs. comparable shelters. Weighs 50 lbs. Includes carry bag for easy re-packing.